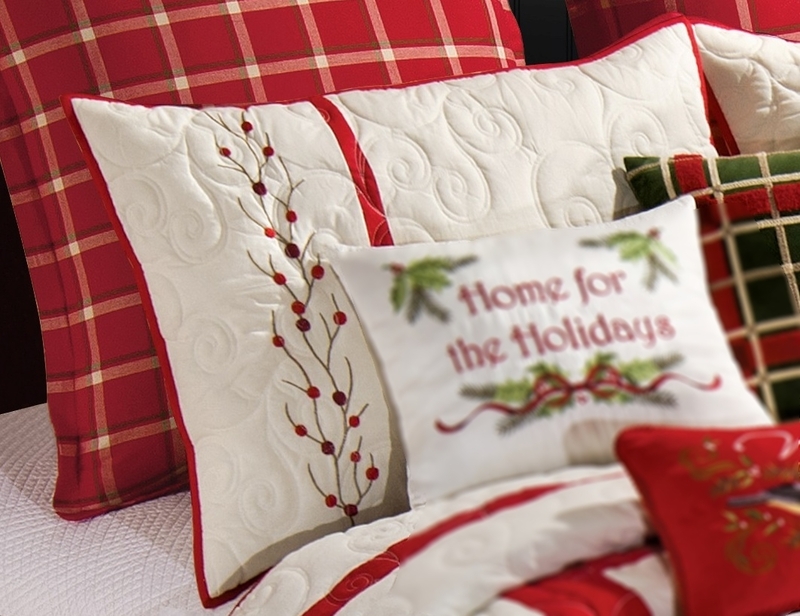 A country cottage quilt displays beautiful embroidered red berries and green vines in a center wreath on a soft-white background. Set includes Quilt + 2 Standard Shams. Our Best Value! 25% Off + FREE SHIPPING!